An effective digital marketing strategy incorporates every corner of the online marketing realm. Starting with the content itself, a campaign’s success depends on the use of SEO, mobile, social media, video, and email marketing, and the company’s success depends on its use of analytics in order to identify goals and benchmarks. The growing adoption of each of these strategies speak for themselves. Digital marketers must be prepared with helpful and educational material to help nurture the buyer through every step of the journey. 70 percent of the buyer’s journey is complete before a buyer contacts a sales professional or walks into a store, and 72 percent of buyers use Google to start researching how to resolve their pain points. 43 percent of shoppers research products while inside a store. 88 percent of consumers trust online product reviews as highly as personal recommendations. Content marketing is expected to be a $300 billion industry by 2019. 70 percent of people would rather learn about a company via articles than advertisements. 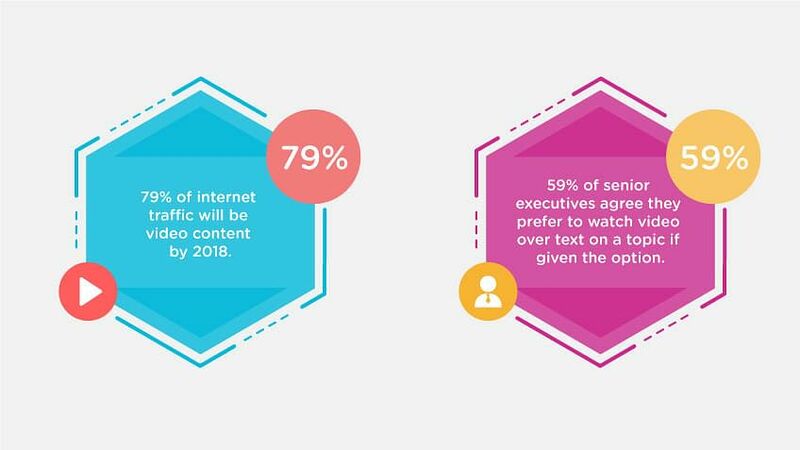 Content marketers amplify their company's message, execute impactful strategies with greater impact, and acquire and retain a valuable audience. Staying on top of SEO is crucial because most people begin their research with a search engine—and they rarely view more than the first page of search results. 57 percent of B2B marketers say SEO is the top lead generator for their business. 50 percent of searches contain four or more words. 72 percent of shoppers who searched locally visited a store within 5 miles. More than 50 percent of clicks go to the top 3 search results. SEO Specialists must know how to drive higher traffic to websites, link building, and analytics. Companies without a mobile presence or strategy risk being left behind. More people use mobile devices to access the internet—including shopping apps—than on computers. Mobile devices account for more Google searches than computers in 10 countries including the US and Japan. 47 percent of Facebook users only access the site on a mobile device. Mobile marketers must understand mobile advertising, search, email rules, regulations and responsive design. By now, it’s common knowledge that social media should be a part of every digital marketing strategy. 52 percent of adult internet users operate two or more social media accounts. 72 percent of adult internet users have Facebook accounts and 25 percent have LinkedIn accounts. 78 percent of those who voice a complaint on Twitter expect a speedy response. 33 percent of millennials prefer to interact with brands through social media. 71 percent of consumers that had a positive social media interaction with a brand are more likely to recommend it to others. Social Media managers build brand recognition and encourage dialogue between brand and consumer. 79 percent of internet traffic will be video content by 2018. 59 percent of senior executives agree they prefer to watch a video over text on a topic if given the option. Video teams must create, execute, and optimize video for the best visibility possible. E-mail marketing is one of the most effective and personalized modes of gaining the trust of potential customers. Marketers depend on email data to turn cold leads into hot ones by marketing the right product at the right time. 44 percent of B2B marketers say e-newsletters are most critical to marketing success in 2017. Every dollar spent on email marketing can expect an average of $38 in return. Email marketers understand how to create effective advertising campaigns that nurture potential customers throughout the buyer’s journey. The effectiveness of each role within a marketing team would be lost without analytics. From email open rates to social media click-throughs and article bounce rates, every success and failure depends on someone who can track and interpret data to make well-informed decisions. Best-in-class marketers are 56 percent more likely to use data and analytics platforms. $1.3 trillion is spent on data-driven marketing per year in the U.S.
Analytics leads make data-driven decisions that help optimize their digital ecosystem by monitoring all of these activities regularly. Similar to earning a degree, marketing certifications prove that you have demonstrated a variety of competencies that are valuable to employers—and that you’re passionate about learning and are committed to growing your career. Certification can help digital marketers get 6 – 12 percent more pay raises than their noncertified peers. In addition to having individuals that are experts in their fields, a well-rounded leader that understands how each component of the team works together is an invaluable asset. A Digital Marketing Certified Associate (DMCA) deeply understands and can speak to each of the above areas, striving to ensure the marketing team works toward a common goal.